Building a $3.6 billion integrated resort development on a previously developed inner-city site, where some buildings within the planning envelope need nurturing (like the heritage buildings) and others require demolishing, doesn’t happen overnight. It takes time, effort and a methodical approach to get it right. As Destination Brisbane Consortium moves into its third year of construction activity on the Queen’s Wharf Brisbane development there is an opportunity to reflect on how the development is progressing and ask the question, how do things look alongside the project timeline? DBC Project Director Simon Crooks said he was really pleased with how things had been coming together. “We can prepare as much as we want on paper, but it is not until you get going with a project that you begin to really see what the conditions are, what new challenges exist and what opportunities for time and cost saving can be achieved,” he said. “For me, this year I am excited that we will open the first section of public space through the upgraded section of Bicentennial Bikeway (from the Goodwill Bridge to the area behind 1 William St). We have also constructed a dedicated pedestrian walk along the river’s edge (Mangrove Walk) and a new active recreation park – one of a few new parks for Brisbane city. “As part of this project, we are creating an enormous amount of public space for people to enjoy. Currently DBC is in the final stages of tendering and will soon award a contract to enable the transformation from hole in the ground to stunning architecturally designed integrated resort development. Later this year, the Consortium will also award a contract for the Neville Bonner Bridge builder and start works on another section of public space called The Landing. Mr Crooks said the Landing was an area that will extend about 35 metres from the river’s edge and will see the construction of a suspended slab on a piered structure in the river. When complete, this suspended slab will be covered in grass and turned into beautiful green space for people to enjoy day-in day-out, while also becoming a venue for future community events. 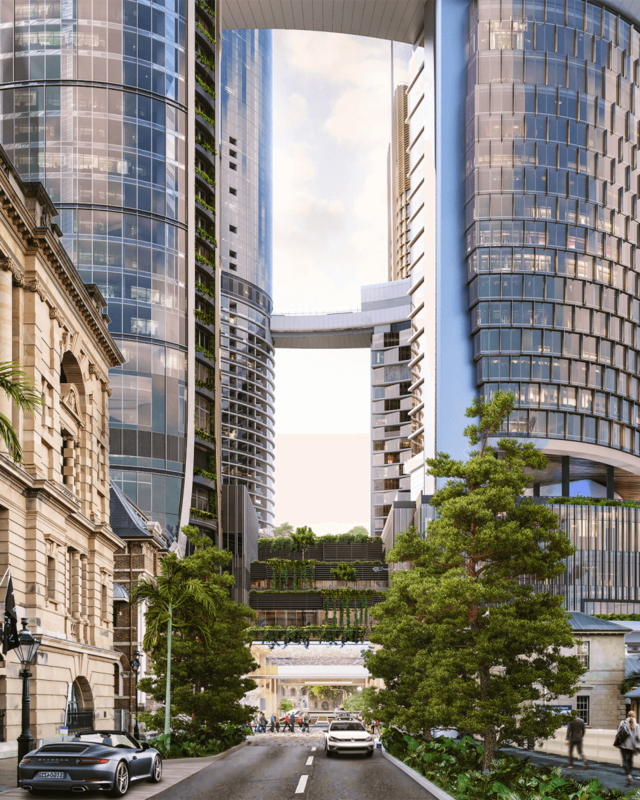 On comparison of the project timeline, Queen’s Wharf Brisbane remains on schedule for the opening of the main development in late-2022 and the refurbished heritage buildings in late-2024. To stay informed about the project visit our website www.queenswwharfbrisbane.com.au or follow us on facebook www.facebook.com/queenswharfbrisbane/.